I used 3 yards of 3/8″- 1/2″ wide ribbon for each bow. I also used one strand of white sparkly WW yarn in place of the 3 strands of cotton yarn from the video. After the Drawstring CO, I knit one row with the WW yarn. Then I added the ribbon loops in the same way that I used the netting before. I went around the loom two times total with the ribbon. In the blue/green bow, I used 2 styles of ribbon; one style for each round. The first row is the ribbon that ended up in the middle of the bow and the 2nd row ribbon ended up to the outside of the bow. I hope you enjoy this alternative method of using this pattern! Happy Blogiversary Day 2! PS…don’t forget to back the book project if you haven’t already…we’re at 64% with only THREE DAYS TO GO!!! 😮 Thank so much! 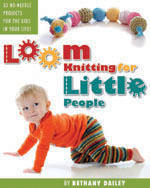 This entry was posted in Blogiversary, Book Progress, Charitable Donations, Contests, Free Loom Patterns, Goals, Loom Alongs, Loom Knitting, Looming Patterns, New Projects, Project Preview, Tutorials. Bookmark the permalink. 3 Responses to A Blogiversary Party Bow!